The Los Alamos National Laboratory has deployed a system to counter all unauthorized unmanned aircraft systems (UAS) over its restricted airspace, R-5101, and an additional FAA designated “No Drone Zone,” in red on the map. The system is government authorized and is currently in an operational testing phase. The system is government-authorized and is in a testing phase. LANL worked in collaboration with the National Nuclear Security Administration and FAA to implement the system. With legal authority granted by Congress through the 2017 National Defense Authorization Act (NDAA), the NNSA has the enhanced ability to protect its facilities from any UAS that may pose a threat to the safety or security of assets and personnel, according to LANL. The Counter-UAS program at Los Alamos will be the blueprint for future programs at three other NNSA sites. Systems are planned for the Pantex Plant in Texas, the Y-12 facility in Tennessee, and the National Nuclear Security Site in Nevada. Under separate authority, the FAA has established “no drone zones” for sites with Category I Special Nuclear Materials. 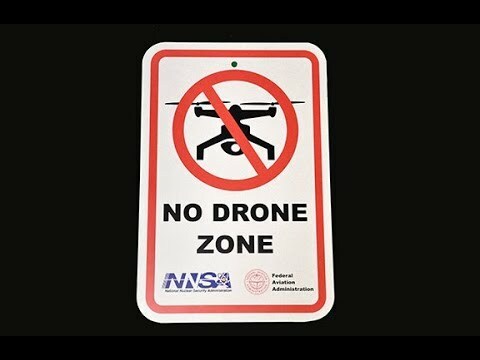 NNSA has also developed signs to advise drone operators about specific airspace boundaries where they may not fly their aircraft and that violating the airspace will have severe consequences. “Implementation guidance by NNSA focuses on high-level actions to be taken to detect, identify, track and mitigate drones that pose a threat to NNSA covered facilities,” said Lewis Monroe III, director of NNSA’s Office of Security Operations and Programmatic Planning. NNSA sites will coordinate with federal, state and local law enforcement, other government agencies, air fields, hospitals and emergency operations centers to establish appropriate agreements about warning and contacting local flight operators and protocols for recovery efforts related to unauthorized UASs forced to land outside of NNSA sites, according to a LANL news release.